Leadville has been looming on my calendar all year long. Ian convinced me to enter the lottery way back in January and to our mutual surprise, I got in. For the rest of the year, I tried to focus on the race and made a spot on the podium my goal. Of course, a lot of other top pro woman had the same idea. 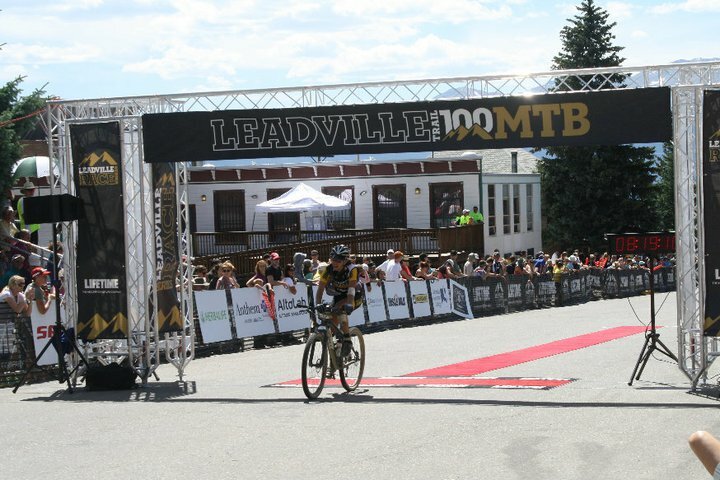 In the weeks leading up to the race, the hype and anticipation surrounding Leadville started to really get to me and I began to dread it. 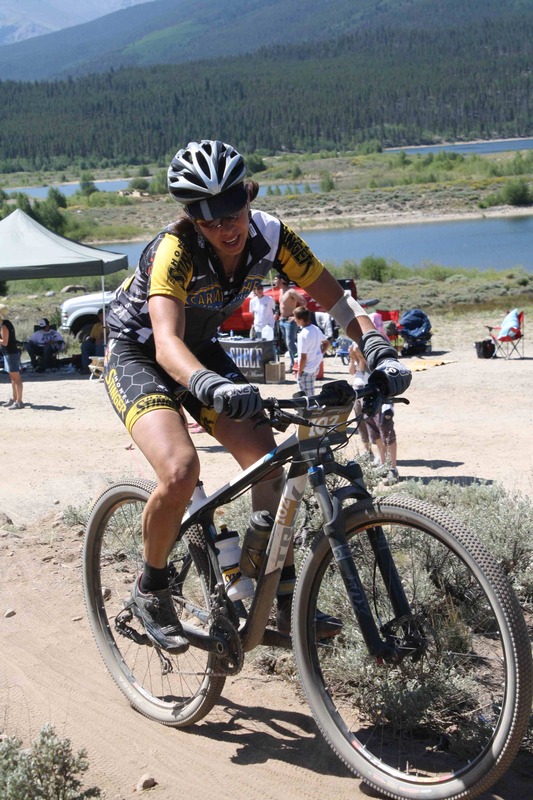 Thankfully my coach, Lindsay Hyman at Carmichael Training, has raced Leadville before and she gave me good beta on each section of the course as well as nutrition and hydration recommendations. Friday afternoon, my Honey Stinger teammate Max Taam and I got out for a pre-race ride and a little time on the St. Kevin’s climb. As we dropped off the backside and began the short descent, my wheels slid out from under me and I went down hard and fast, sliding on my side down the dirt road. More embarrassed than anything, I jumped right up to inspect the damage. Thankfully my bike was fine, but I had pretty good road rash on my leg, hip and arm. I was shaken, but hoped that I just gotten any race day crashes out of my system. The CTS folks helped clean me up and dressed me up with second skin and lots of cheese cloth bandaging. The race started clean and fast early Saturday morning. I was excited to finally get going and not too worried that I wasn’t anywhere near the rest of the pro women. Passing the spot where I crashed the day before and heading down the pavement, my back and hip started to seize up. I quickly realized I must have crashed harder than I thought. About fifteen miles into the race, my goal of a podium finish vanished and I wondered if I could even finish. For the next 25 miles my emotions ran the entire spectrum from total depression to absolute determination. When I got to the Twin Lakes aid station I got off my bike to stretch my back. My support crew, Rob Russell and Scott Leonard, saw the pain I was in and asked if I was going to continue. Thinking of them spending their day watching after me, I decided I needed to go every inch I possibly could. Racing can be selfish but I knew in the long run I would feel terrible if my support had devoted their day to me and I gave up. My back didn’t feel much better going up or down the Columbine climb, and I once again considered dropping from the race at Twin Lakes. This time though, Ian, Axel and Juniper were there waiting and cheering for me. I stopped quickly to give them hugs and kisses and that gave the strength to ride the next 40 miles. My back started to feel a little better from that point and I focused on a negative split for the race. I found myself riding next to Elden Nelson, aka the world-famous Fat Cyclist, whose blog I’ve enjoyed for years now. Elden is an inspiration and I was psyched to be riding with him. The rest of the race is kind of a blur, but I do vividly remember my friend Alissa, who ran beside me on some of the final pavement miles and helped me find the motivation to finish. My final time was 8:19. Overall, it was one of the toughest races I can remember and I’m still disappointed about the way it turned out, but I’m proud of the fact that I finished. 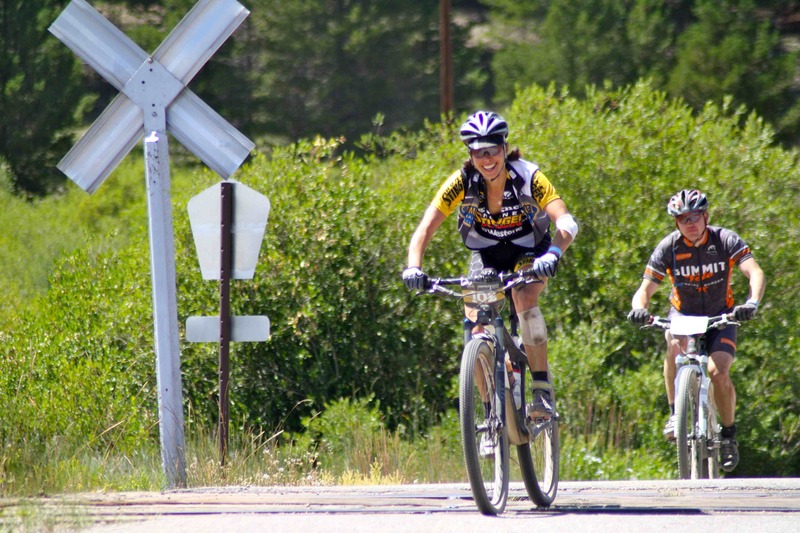 A big congrats goes to Rebecca Rusch, who broke her own record in the race and won her third straight Leadville victory. My longtime friend Gretchen Reeves had an awesome race and finished in second. Pua Mata suffered mechanicals and came in third, while Jenny Smith finished her first 100 miler in an impressive fourth place. 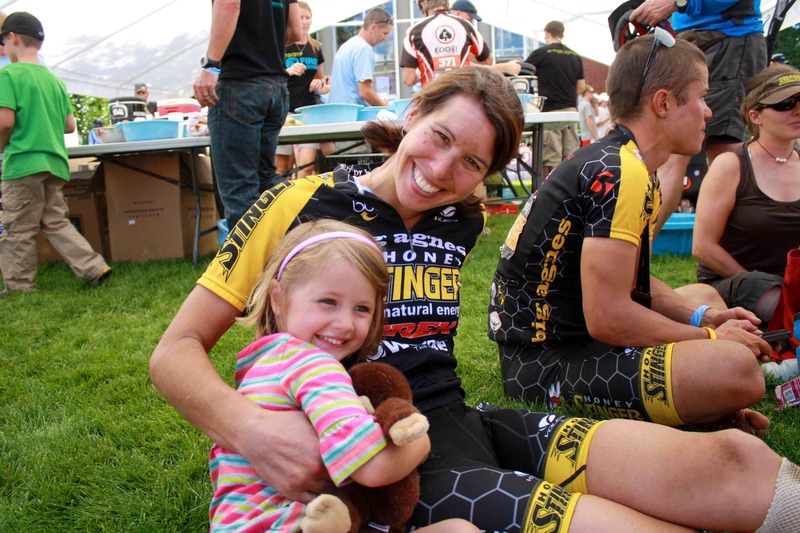 Legendary olympian, Tammy Jaques came in fifth, and then Annie Gonzalez, who just turned 50 years old and got her first pro license came in sixth. I finished in seventh, proud to race with such an inspirational, strong group of ladies. Now, I’ve got to get packing for my trip to Rhode Island. Hopefully, my back feels better by next Saturday when I’m racing the Mt. Washington Hill Climb. 4,000 feet of climbing in less than eight miles. Gulp. Congratulations on a hard fought finish!! Recently whenever I read your blog it seems like there is a podium picture and a race that goes according to plan…it takes real guts to dig deep when things aren’t working so well, good for you! Best wishes for a healthy back next week…. Just droped by from Fatty’s blog. Great story and congrats on the finish and finding the will to make it through a tough day. And I just gotta say, those 2 last pictures look awesome! Great post Sari! Know that you are such an inspiration to so many women… including me! You rock!